What makes us "The School with a Difference" ? Our vision is to To enable young people to understand the world around them as well as their own potential, and to develop this potential so that they can mature into competent and fulfilled adults who can make a positive difference to this world and to their country as it develops. Combretum Trust School exists to give hands on experience of educational challenges faced in post-apartheid Namibia and to look for solutions to these challenges by practicing an accessible admissions policy allowing opportunities for children from all financial and educational backgrounds to obtain quality education in small classes with quality teachers. 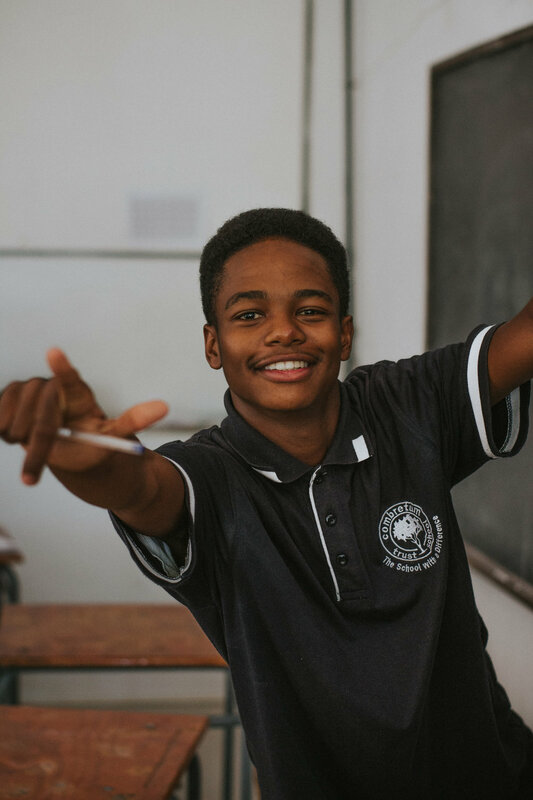 Combretum Trust School is an independent school in Windhoek, offering quality, no-frills education, which centres around independent thought, dynamic teaching, and positive discipline. We have a school which has a strong culture of care and sense of identity. Combretum students are critical, open minded, self motivated and tolerant. Our classes are small, and our teaching style is engaging, motivating and contemporary. We encourage group work, projects, and practical activities. We also encourage our learners to think for themselves, ask questions, speak out and command respect. We do not seek out only the most academic, most athletic and most high achieving learners. We believe that character is what counts and that our unique style of teaching brings out the best in students, even those without perfect track-records. At Combretum we are Proud to be Different! We are proud of our unique learners, and we are proud of the uniqueness of our school. We do not want children who fit the mould. We want children who look at the mold and say "how can I improve on this mould? ", "how can I challenge this mould to fit me? ", and "how can I make this mould better, fairer, and happier?". We give our learners the support and skills that they need to feel comfortable in their own skin, and to make the people around them feel comfortable too.